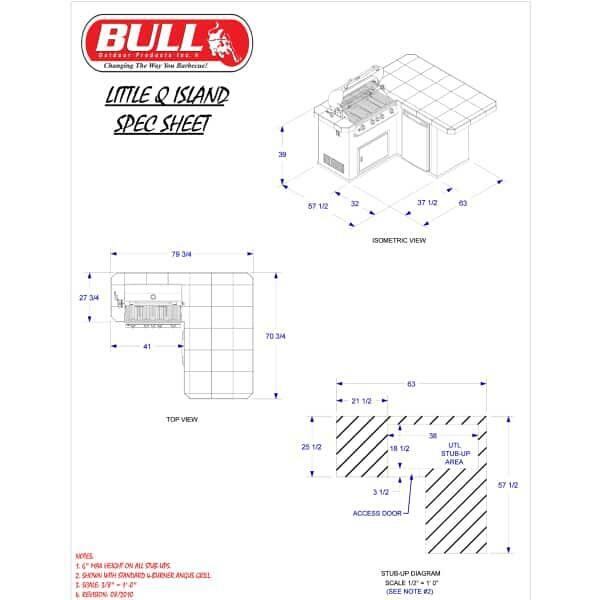 Compact and condensed with a powerful cooking punch, the Little-Q Grill Island is the perfect solution for homeowners looking to add a Barbecue Grill Island to a confined and compressed space. Do you own a condominium or other property with a small backyard and tiny patio that leaves guests feeling packed in and squeezed together? 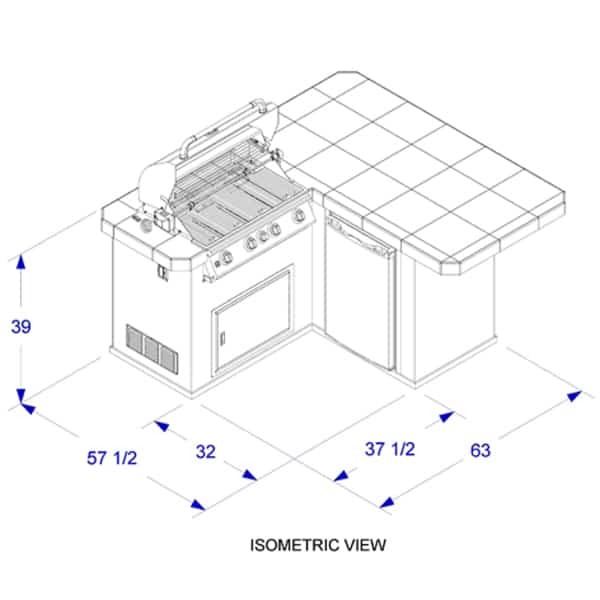 The Little-Q Grill Island will solve your problem, creating a neat, efficient and trim outdoor kitchen in any reduced space. While the footprint of this outdoor kitchen grill island is small, the cooking power packed into this model is not, with an Angus Grill that features four burners and 75,000 BTUs of cooking power. 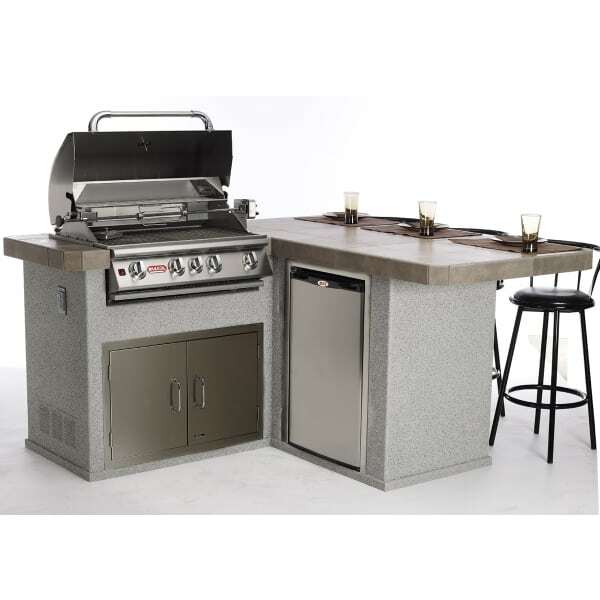 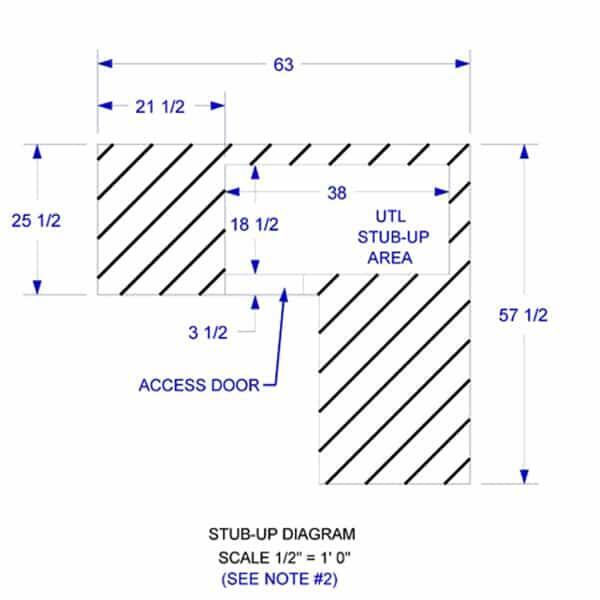 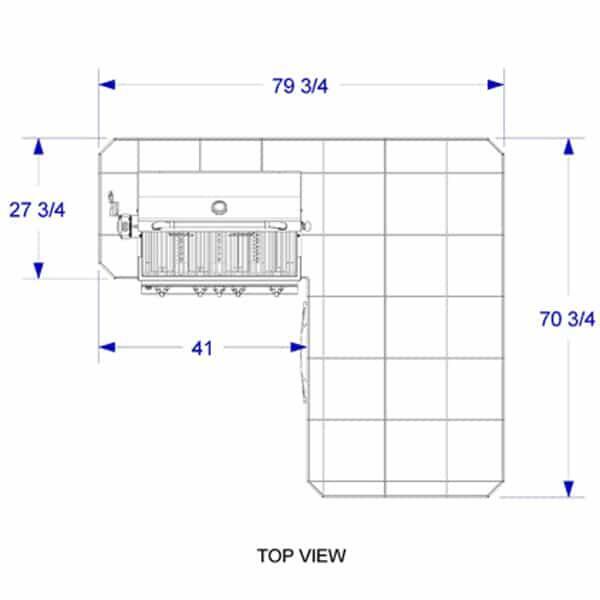 While most would be satisfied with the standard features, such as the included refrigerator and storage areas, this grill island is customizable with many optional features and upgrades, which are listed below.